This day trip from Seattle was inspired by our cousin Devon's visit from Ohio. He has never been to the Pacific Northwest so we wanted him to experience one of our family's favorite places: the North Cascades National Park. 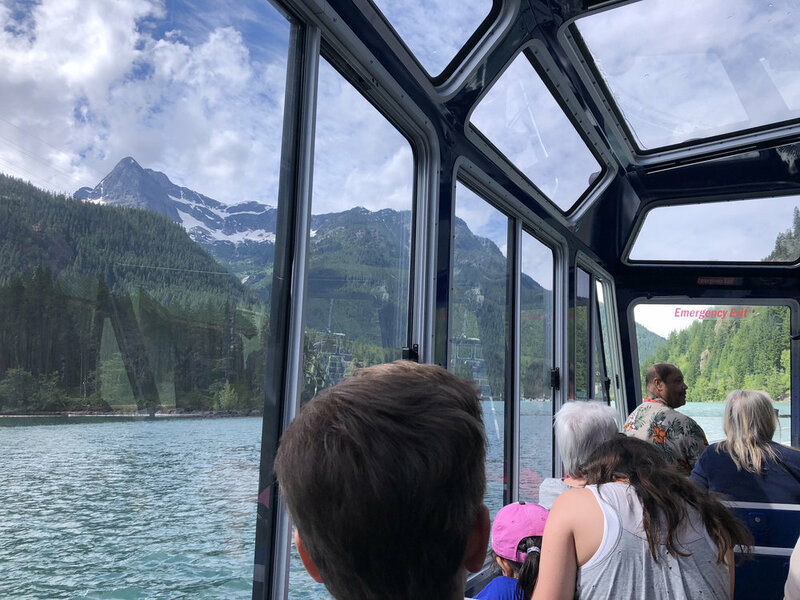 The newly offered combination lake-and-lunch tour made possible by a collaboration among Seattle City Light, the North Cascades Institute and North Cascades National Park made a day trip itinerary easier to pull off. 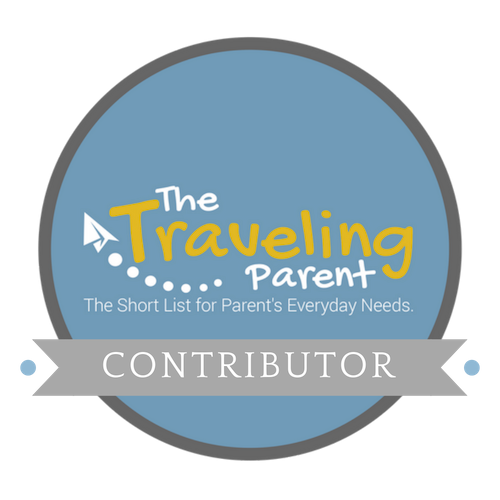 First off, I surprisingly heard no complaints the entire 2.5 hour drive from the tween and teen passengers sitting in the back seat of my truck. In fact, both kids mentioned a few times how happy they were that we made the drive from Seattle once we arrived in the Park! Diablo Lake is dammed and is a glowing green color created by "glacial flour" that flows into the water from 53 surrounding glaciers. The "flour" is so light that it stays suspended in the water and is then refracted by sunlight to cast the bright color. It's a truly magical sight. When you are driving route 20, it's good to know that the town of Rockport has the last gas station and restaurants for 23 miles. Right before you arrive at Diablo Lake, there is a convenient store and playground for small kids inside the small Seattle City Light town of Newhalem. A good place to stretch your legs and take in the aroma of the fragrant cedar trees is just past mile marker 111 (on Rte 20) where you see the sign for the North Cascades National Park. Great place for a photo op. A great place to stop for a restroom break and stretch your legs is at the Gorge Creek Overlook. It will be on the right side of the road, after the town of Newhalem. This is your first opportunity to immerse yourself in the grandeur and scenery along the short trail at the end of the parking lot where the pit toilets are located. See my article for a full description of NCI. Check-in for the Diablo Lake tours (run by Skagit Tours) is outside the Institute's dining hall, which is about a 10-15 minute walk from the parking lot. After you are finished with your boat tour and lunch, definitely walk around the Institute grounds and get a feel for the magic of the place. Check out the little shop in the office, which is chock full of great books for nature geeks, and keepsake items. If you have time, and there is availability, consider staying the night at the Institute using the basecamp lodging option. Home-cooked meals and guided activities are included and participation is optional. The 2.5 hour boat tour is co-led by a National Park ranger and North Cascades Institute employee and is chock full of history about the Skagit River hydro-electric project, which began in 1937 and produces 20% of Seattle's power. Scenery on the tour is breathtaking and features awe-inspiring views of 7,700 feet-high mountain peaks. The guides do a great job of giving you background on the dams and natural surroundings. There are different versions of the boat tour, with and without lunch. I recommend the lunch tour if you can get to the lake by 10:15 a.m. You should know if that there are no restaurants in the area and you cannot simply walk in and eat in the Institute's dining hall, so plan to pack a picnic lunch or eat in Rockport if you are arriving from the West (recommendations in the "If You Go" section below). Reservations and close-toed shoes are required for the boat tour. Tours of the Powerhouse are not always possible and it depends on whether or not the operator is able to accommodate a group inside the facility. If a tour is possible, you are in for a treat. It's pretty cool to see the colossal moving turbines and the 540-feet tall Ross Dam. If you purchase the lunch tour, a home-cooked buffet-style lunch is served in the North Cascades Institute's dining hall. The food is pretty good and features ingredients that are mostly sourced from farms within a 125 mile radius. The day we toured, lunch options consisted of a salad bar, soups and 2 pasta dishes (one gluten-free) and cookies. Water, coffee and tea are also included. After you are finished exploring the North Cascades Institute and Diablo Lake, drive back across the one-lane bridge to Route 20, turn left and drive about 10 minutes until you come to the Diablo Lake Overlook (it will be on your left side). It offers a majestic perspective of the lake cradled among the surrounding mountain peaks. This is a must-stop for photo ops and pit toilet restrooms. On your way to or from Diablo Lake from the "West Side", consider stopping off at Cascadian Farm in Rockport for ice cream, espresso and berry picking. It's also a great spot for a restroom or leg-stretching break. The grounds are beautiful and berry-picking is fun (call ahead or check their website to see if the berries are in season). Note: if you pick raspberries, there is an honor system scale in the fields. You have to put together a box, pick and then weigh your bounty and tell the cashier at the farm stand how much you picked. There is a 5 pound minimum. That was tricky for us, because we wanted to pick, but needed to get on the road to beat rush hour and we didn't know how long it would take to pick 5 pounds, or how much we would have to fill up the box to reach the required 5 pounds. But now we know! 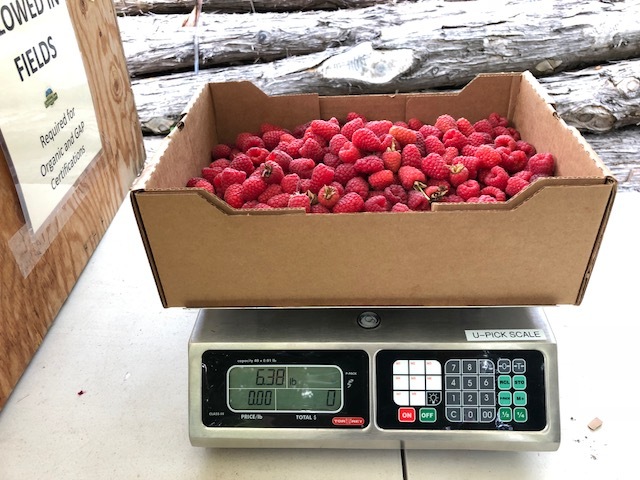 It took 3 of us 45 minutes to pick 6.5 pounds of raspberries and if you look at the picture below, you can see that amount filled 3/4 of the box. Plenty of time to beat the traffic. ABILITY TO UNPLUG RATING: High. There is no cell coverage. Restaurant recommendations along Route 20: Birdsview Brewing (it's a small place, so it can take a while to get your food, but worth the wait) or Buffalo Run Restaurant. North Cascades National Park Ranger Amos recommends the Sourdough Mountain Trail if you are looking for a good hike in the area. Note: boat tours are offered on weekends, late June through September. Map of the "Washington Alps"